Delivers 24 Highway MPG and 19 City MPG! This Ram 1500 boasts a Gas/Electric V-6 3.6 L/220 engine powering this Automatic transmission. WHEELS: 18 X 8… (STD), TRANSMISSION: 8-SPEED AUTOMATIC (850RE) (STD), TIRES: 275/65R18 BSW ALL SEASON LRR (STD). 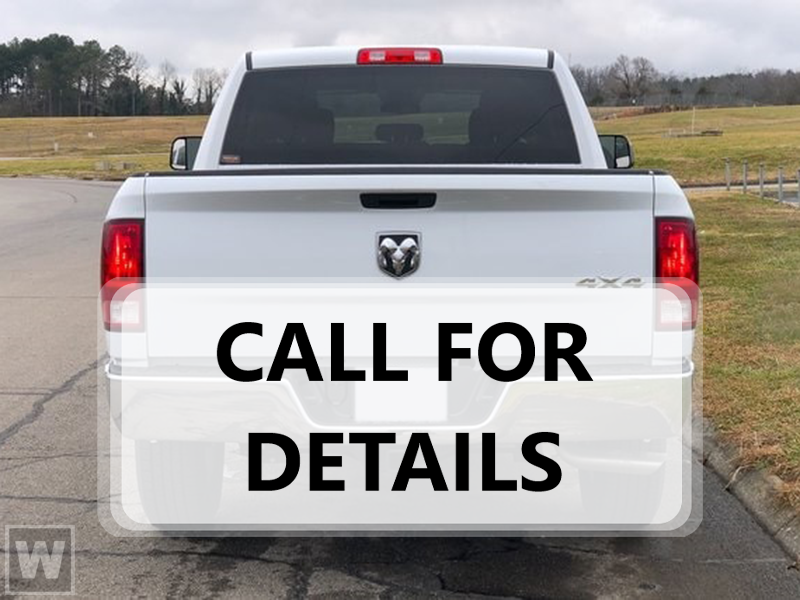 * This Ram 1500 Features the Following Options *QUICK ORDER PACKAGE 23Z BIG HORN/LONE STAR -inc: Engine: 3.6L V6 24V VVT eTorque UPG I, Transmission: 8-Speed Automatic (850RE), Steering Wheel Mounted Audio Controls , SINGLE DISC REMOTE CD PLAYER, REMOTE START SYSTEM, RADIO: UCONNECT 4 W/8.4 DISPLAY, GVWR: 6,800 LBS (STD), ENGINE: 3.6L V6 24V VVT ETORQUE UPG I (STD), DIESEL GRAY/BLACK, CLOTH BENCH SEAT, BRIGHT WHITE CLEARCOAT, BIG HORN LEVEL 1 EQUIPMENT GROUP -inc: Rear Window Defroster, Cluster 3.5 TFT Color Display, Power 8-Way Driver Seat, Rear Power Sliding Window, Sun Visors w/Illuminated Vanity Mirrors, Glove Box Lamp, Integrated Center Stack Radio, Class IV Receiver Hitch, Single Disc Remote CD Player, Power 4-Way Driver Lumbar Adjust, Power Adjustable Pedals, Foam Bottle Insert (Door Trim Panel), Google Android Auto, For More Info, Call 800-643-2112, Exterior Mirrors Courtesy Lamps, 1-Year SiriusXM Radio Service, Auto Dim Exterior Driver Mirror, Radio: Uconnect 4 w/8.4 Display, SiriusXM Satellite Radio, Exterior Mirrors w/Supplemental Signals, Big Horn IP Badge, Rear Dome w/On/Off Switch Lamp, Universal Garage Door Opener, Power Heated Fold Away Mirrors, Rear View Auto Dim Mirror, 8.4 Touchscreen Display, Power-Folding Mirrors, Apple CarPlay, 3.21 REAR AXLE RATIO (STD). * Stop By Today *Come in for a quick visit at Larry H Miller Chrysler Dodge Jeep Boise, 222 Auto Dr, Boise, ID 83709 to claim your Ram 1500!